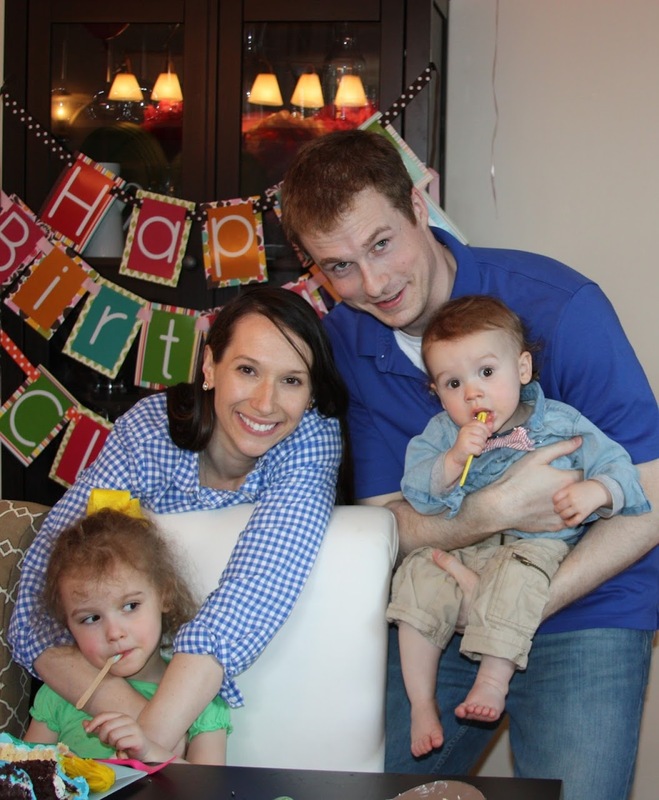 McLendon McBlog: The Girl is Four! Sweet girl was ready to celebrate big this year! 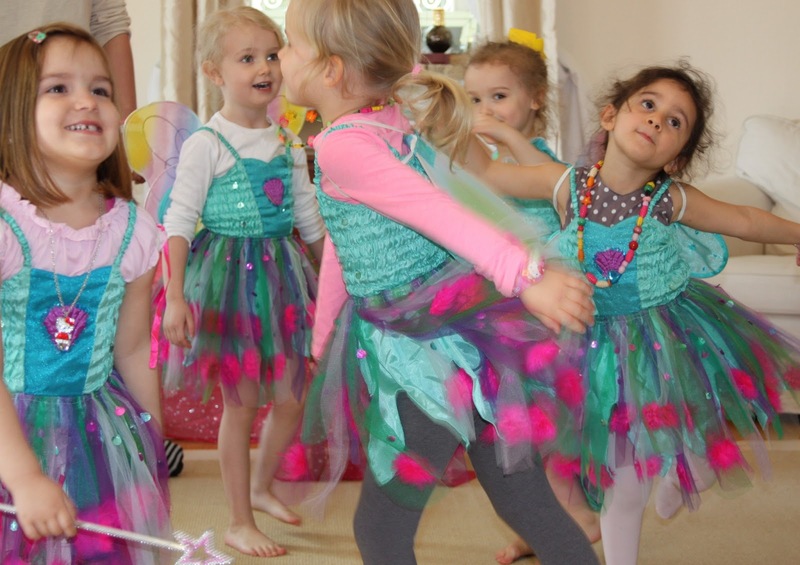 Her only request was that we have a "mermaid dance party." 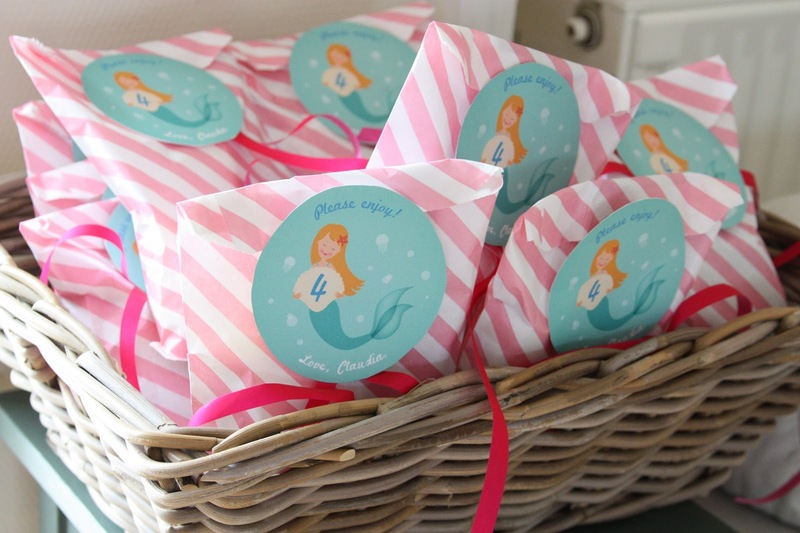 So we had a dozen dancing mermaids at our house last weekend. 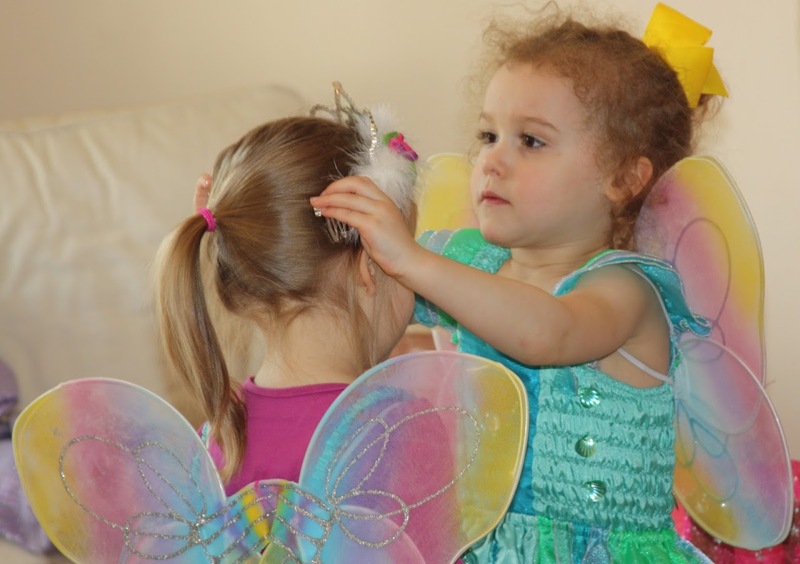 Claudia's favorite part involved the crowning of the mini mermaids (as she was Princess Mermaid). The best present of all... having Gram there!! Living half a world away, birthdays are usually family-less affairs. Sad. But not this year! 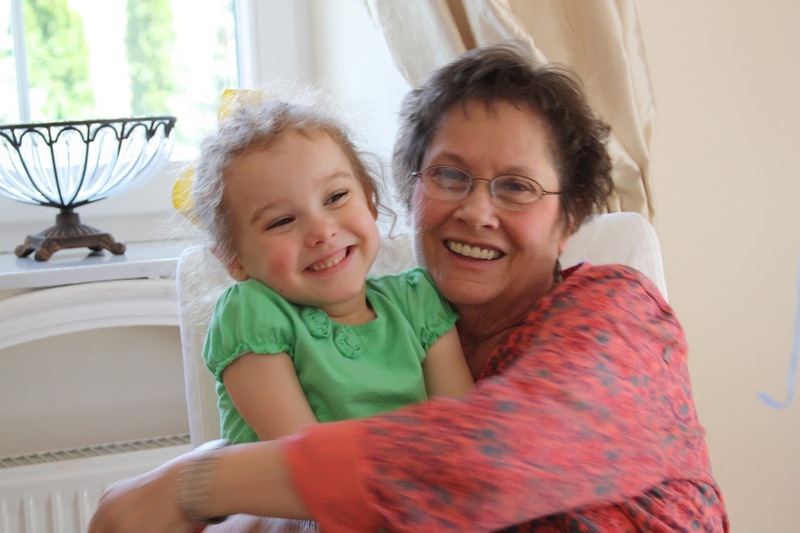 My amazing mom flew over to help out after the surgery and stayed for C's big day. Perfect day for CC! Having the party a week after my hip replacement seemed pretty stupid at first, but I took many shortcuts that made the whole thing easy... delivery pizza, delivered cake, a theme birthday company to entertain the girls... but the best was the delivered goodie bags. The company Carousel Carousel sends everything you need to make the bags, you just stuff them. Cute fun stuff and they ship to everywhere... even Budapest! The only boy allowed at the party (except for daddies and baby Nikolai). When he wasn't being tickled, hugged and carried around, he was frantically scrambling around scooping discarded, half eaten candies and pogacia off the floor. Sweet Paddy! Happy FOURTH birthday to the sweetest dancing mermaid. We love you, CC! Looks like she had a great party! Happy 4th birthday!! You have a beautiful family (I'm pretty sure I've told you that before..but really!)! Where can I get one of those mermaid outfits? Precious! 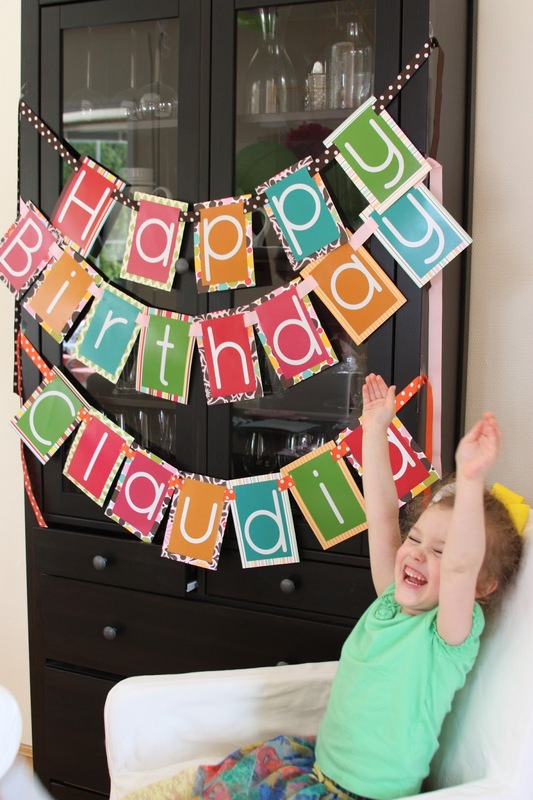 Happy Birthday, Claudia! 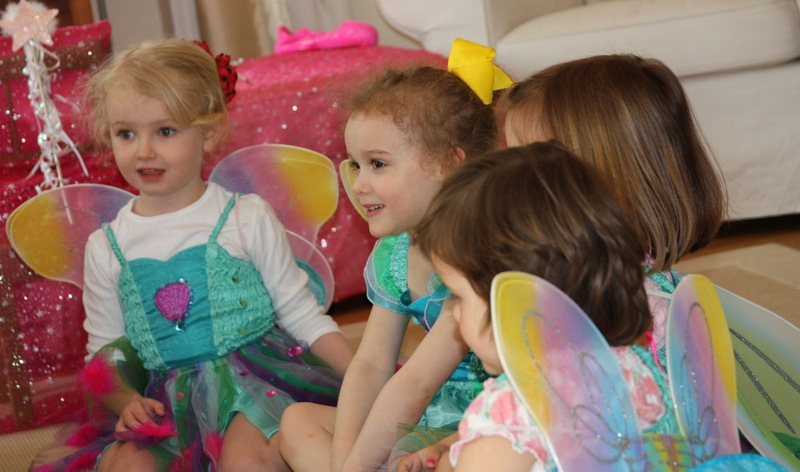 Such a cute birthday party. 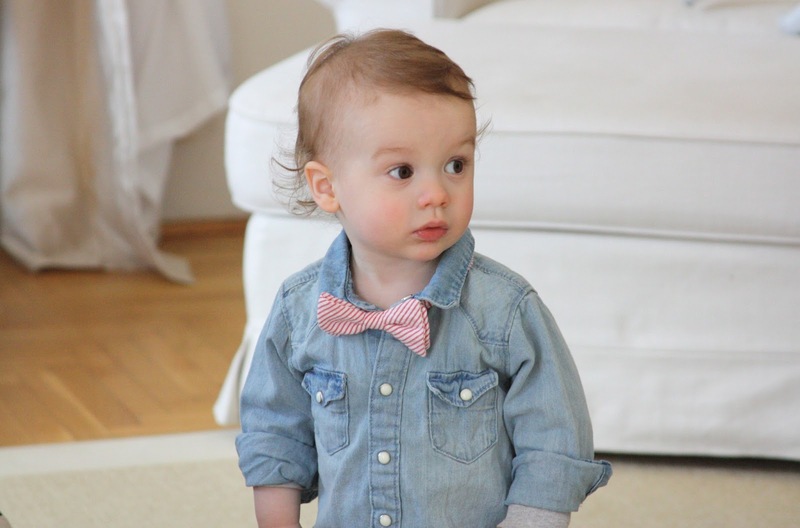 Loved little man's bow tie, too. 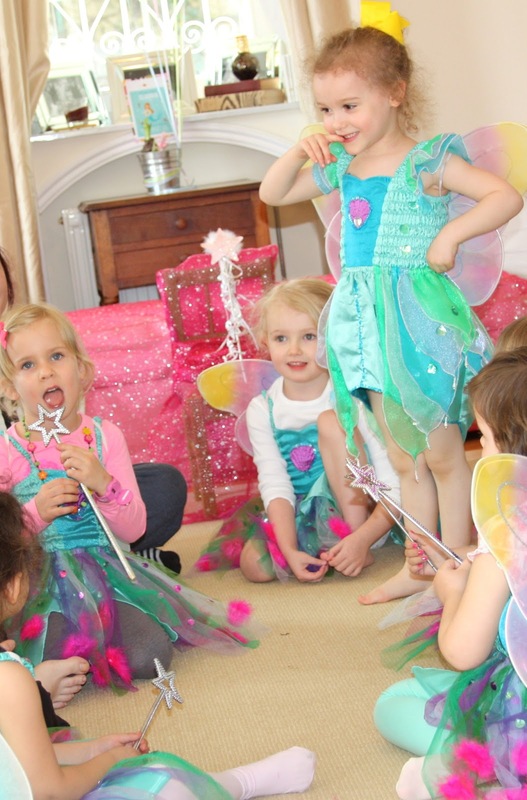 Well the award for 'best birthday party theme' goes to Claudia!! 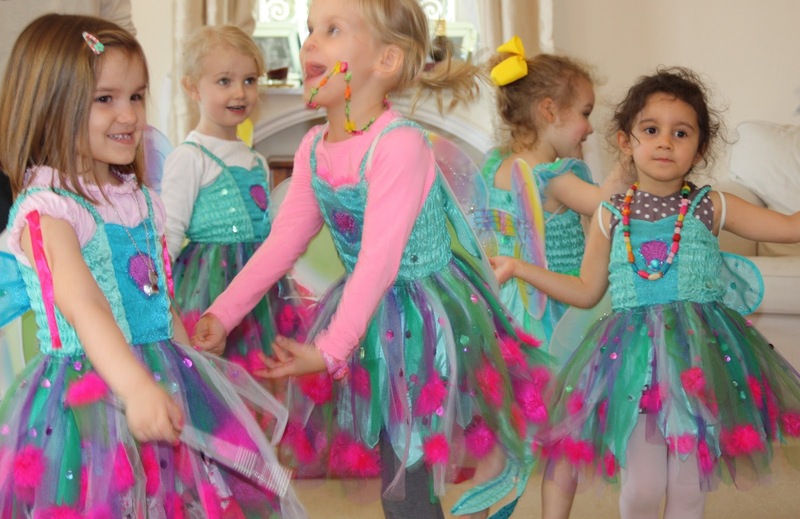 What could be better than dancing mermaids?! Too cute. And Meryl you're a superhero for having the party one week after surgery! What a fun birthday party! Wherever did you get all those amazing mermaid dresses?! Looks like a wonderful party...... even better that grandma was there!!! Best wishes for a swift and full recovery from your surgery.... ouch! 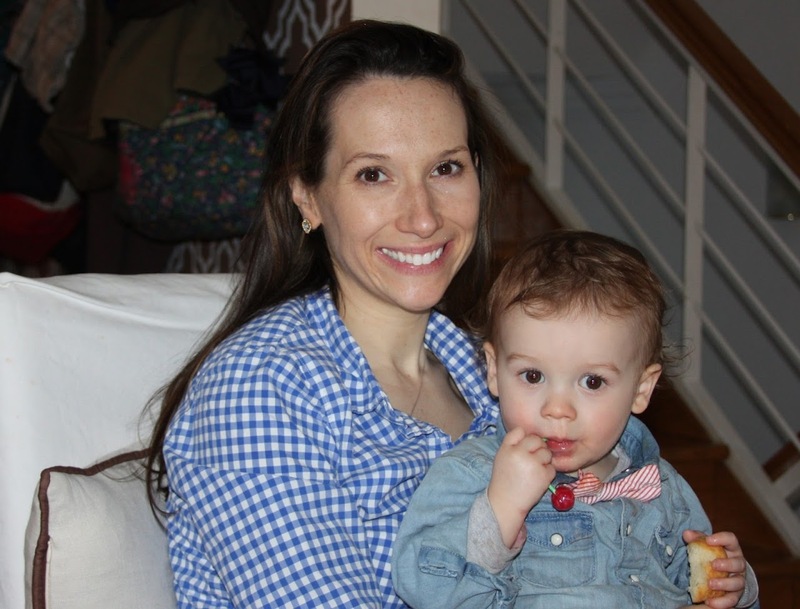 Happy Birthday to sweet CC! What a fun birthday party!! Maybe one day we will get to celebrate our kiddos birthdays together!! :) As always- miss you- love you- cant wait to see you!!! Ps- I am pretty sure I have the exact same shirt Paddy boy is wearing except a billion times larger, lol!